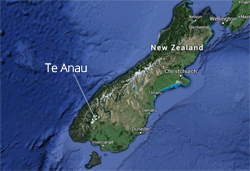 If you want to eat on the run, you need to know that Te Anau is world famous as the place to eat pie. And where better to eat a pie than on our amazing lake front overlooking Fiordland National Park, or in one of our lovely cafes. The pie shop, Miles Better Pies, is on the main street near the lake front. It does a roaring trade in pies and has a fantastic reputation as the place to eat pie in New Zealand. Why eat pie in Te Anau? Well, if you are a meat eater, you eat pie here because we serve it packed with local venison, either hunted in the wilds of our forested, national park on the west of our pristine lake, or grown on our farms on the east side. 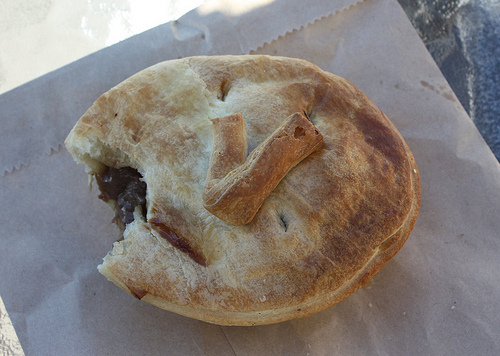 In Miles Better Pies your venison pie will be decorated with a V for Venison; and V for Victory if you manage to chomp your way through these extremely large pies. There are other fillings available of course for vegetarians and Bambi lovers. Apple pie or thai chicken pie - take your pick and get stuck in. Pies can also be bought from the Wapiti Cafe & Bakery next to Fiordland Frontier on The Lane, which is also a fabulous bakery selling cake and bread products and sandwiches, and a large cafe selling great coffee and with good toilets. In the Wapiti Cafe & Bakery you can also linger and read the fascinating information boards about deer hunting in the region.